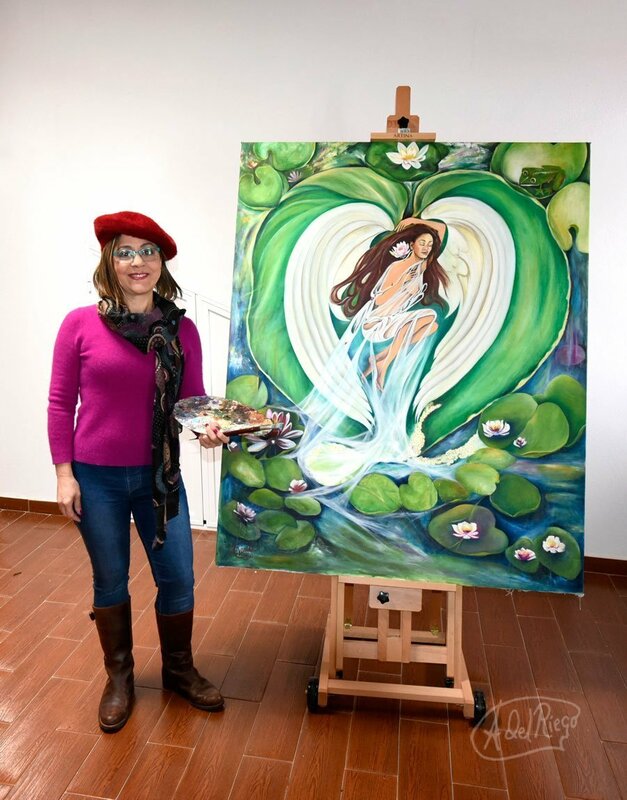 “The Angel of the Water Lilies” is an oil painting inspired by the sustainability of nature, in the sense that we have everything we need to exist, all around us. Nature is perennial, her female spirit as the everlasting Mother Earth constantly giving us life. 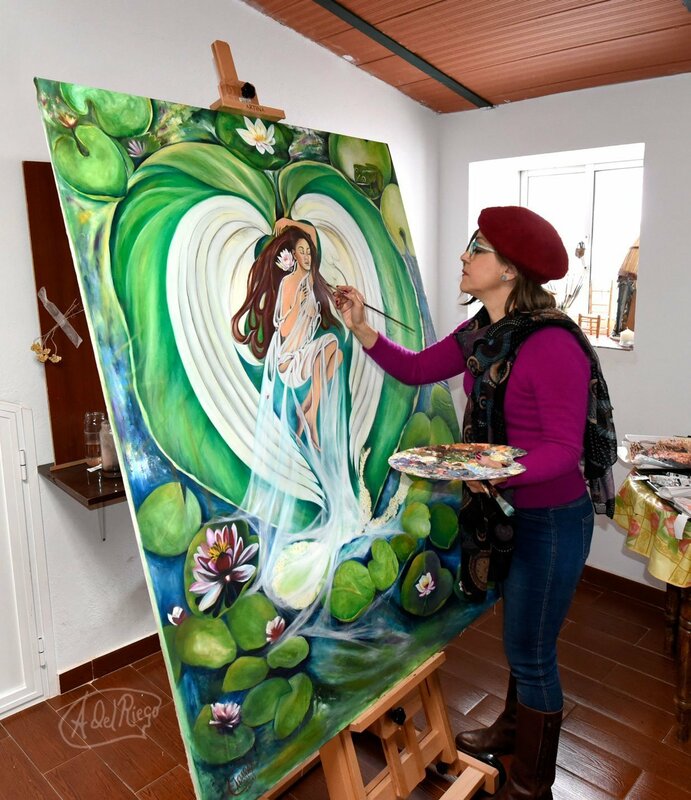 the angel sleeps among the water lilies in the company of a lonely frog that is awed by her beauty and the harmony all around. She is the guardian of our pond (nature) and is taking a moment to sleep and rest from the pressures of the world that weigh us down because of what we have made it to be. But the sustainability of nature remains, perfect in every way, all around us. 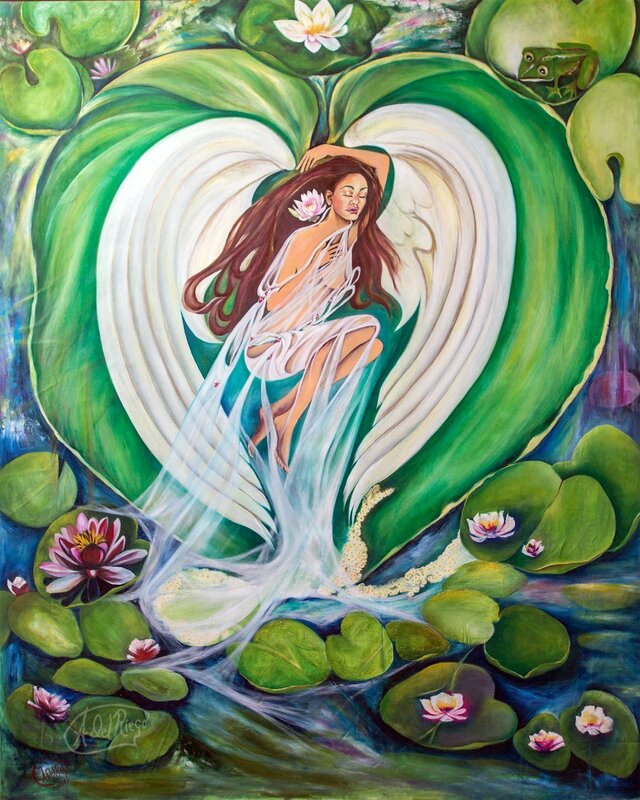 If we would just listen by being quiet, we might just catch a glimpse of the Angel of the water lilies taking a moment in time to quietly and peacefully rest in nature´s perfect harmony.